As our Jam Splash review taught us, HMDX make some killer waterproof bluetooth speakers. If only there was a way to keep the party going after we've stepped out of the shower. Fortunately shower music isn't the only thing HMDX are good at; this we learnt when testing the Jam Party Bluetooth Boombox. So towel yourself off, grab some friends, and we'll see you for the best living room disco you've ever had. Lucky people. 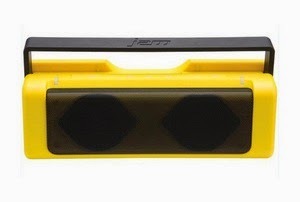 The HMDX Jam Party reminds us a lot of the CAT B15 RuggedSmartphone, not just because of the black and yellow design (on ours, anyway) but due to the extremely hardy, rubberised feel to the speaker. Unlike many bluetooth speakers, the Jam Party is a beast in both size and output. Packed in there are two 4 watt speakers that can pump out some incredible bass. In fact, during tests we found that although the speaker could handle all genres of music well, it was the bass-heavy tracks that sounded the best. You can certainly see why HMDX named it the Jam 'Party'. Speaking of which, even if your party lasts half a day you'll be well served here. Inside the tough innards of the speaker is a rechargeable battery with an impressive 12 hour life. That is almost double what you can expect to get from other bluetooth speakers of similar output and goes a long way to making this the perfect company for your summer of fun. 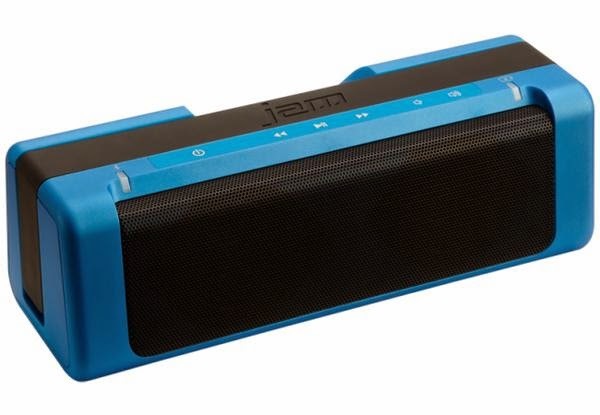 Connecting your phone, tablet or laptop to the speaker is as easy as bluetooth should be these days, and the Jam Party features a range of up to 10 metres (30 feet). However, when testing this (using our good old Nerf test firing range - the drive) we didn't experience loss of signal until about 40 feet, although we're sure that inside the house, with those pesky walls and floors, this will drop down a bit. Portability is sorted by way of a handy handle - again, something other bluetooth speakers don't think to include. This makes it even better for moving around your home or garden, and especially if you're taking it out and about with you, maybe to annoy all the people who think that sleeping in a public park on a hot day is a good thing. 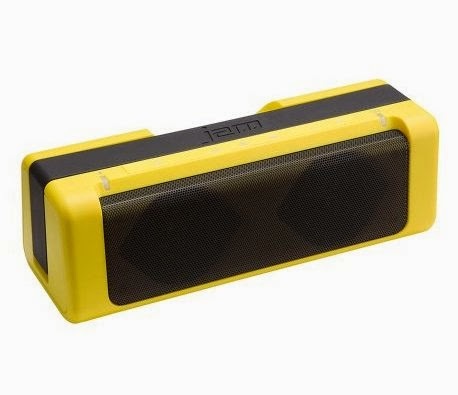 This is a great all-round bluetooth speaker, combining good portability and battery life with impressive sounds.